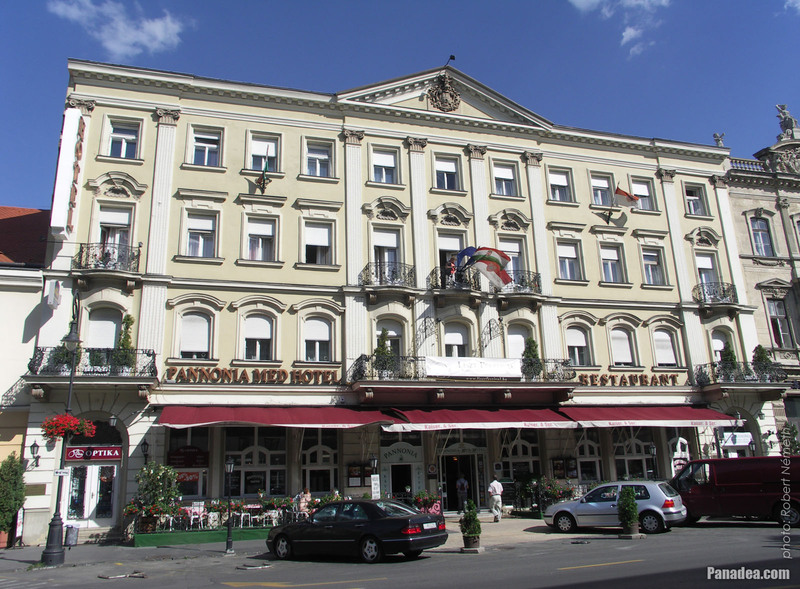 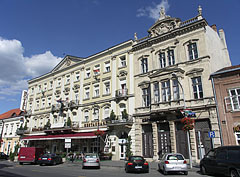 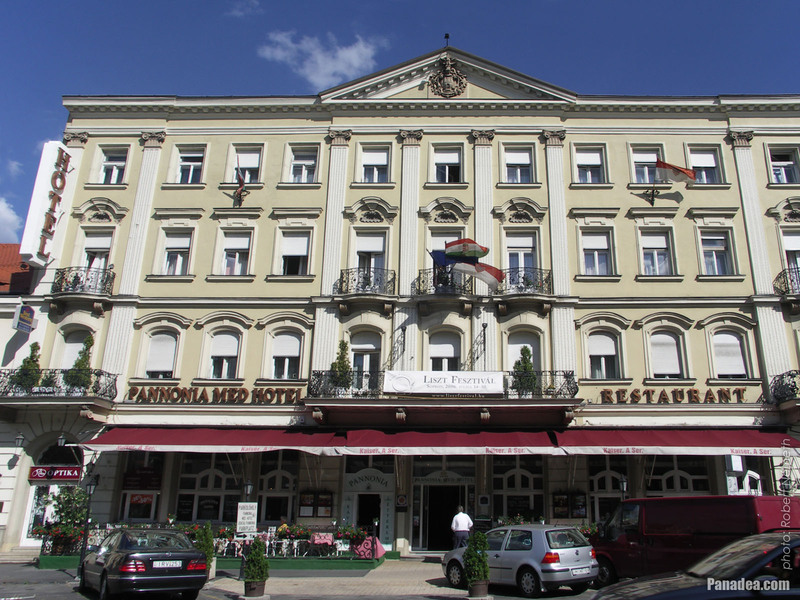 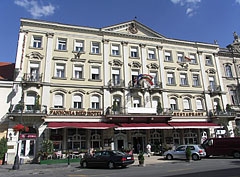 Designed by Lajos Wächtler architect from Vienna, built in 1872. 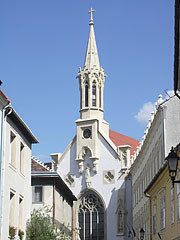 The church was built between 1782 and 1783. 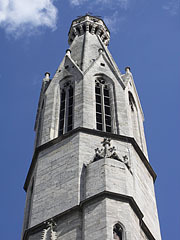 The church received its name after the builder Henrik Geisel, whose heraldic animal was the goat. 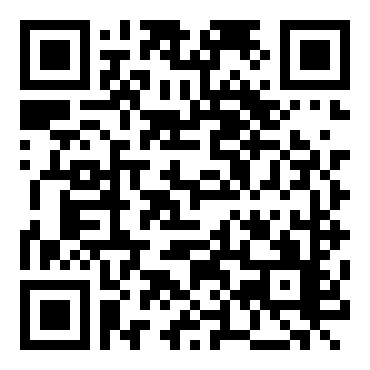 Moreover, his name was derived from the Latin "Gezle", which means also goat. 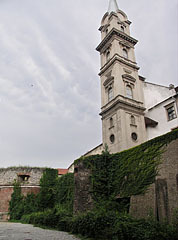 Built by the Franciscan friars in around 1280. 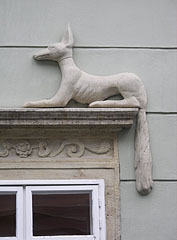 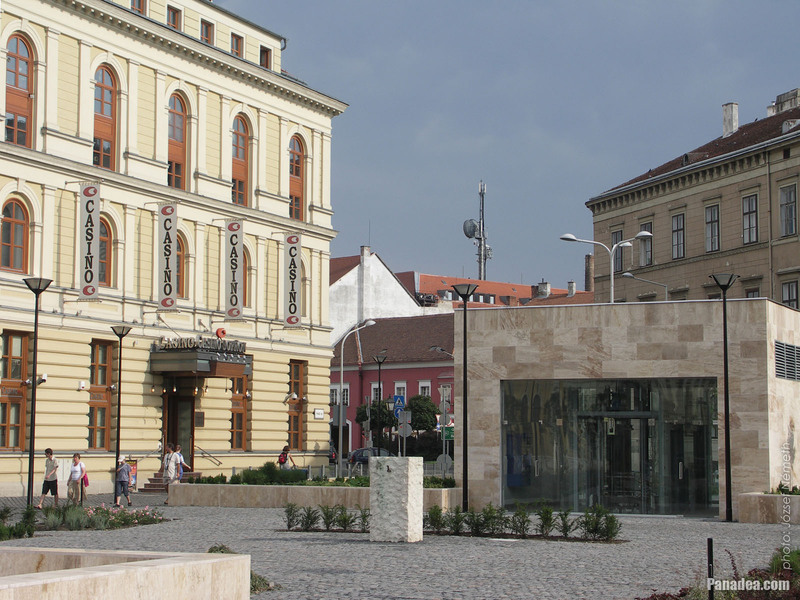 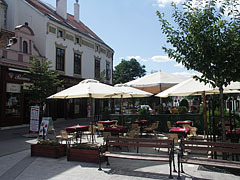 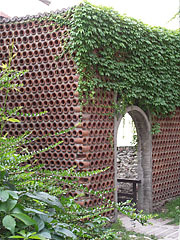 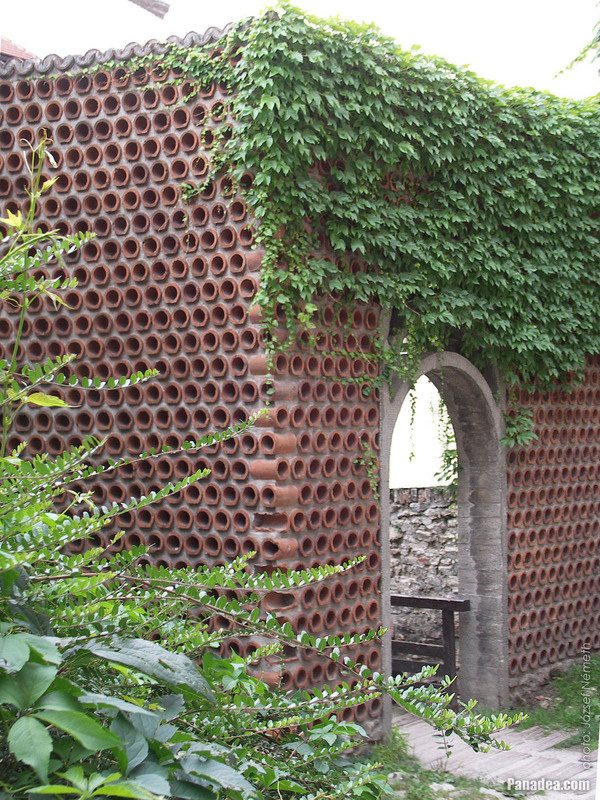 This was the first outdoor twisted stone column in Central-Europe. 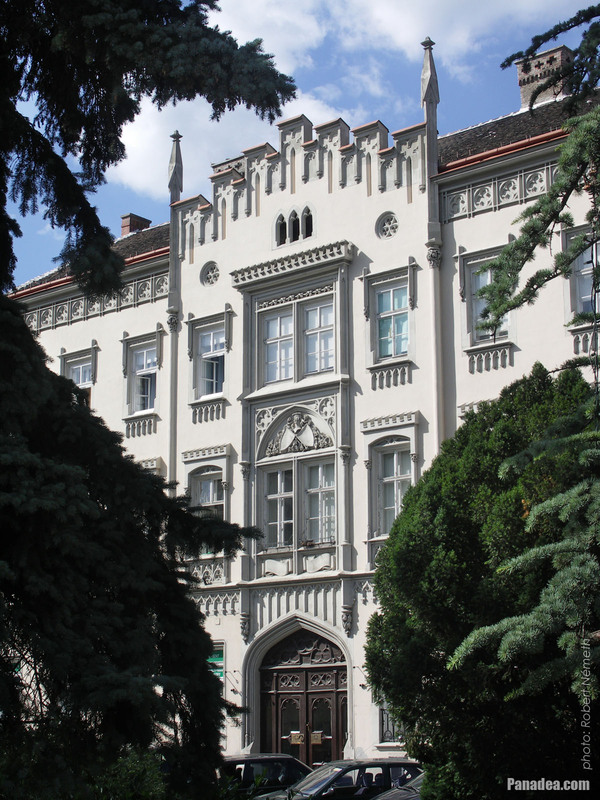 The palace called "Storno House" achieved its current form by rebuilding an older gothic house, in 1560 in renaissance, then in the 1720s in baroque style. 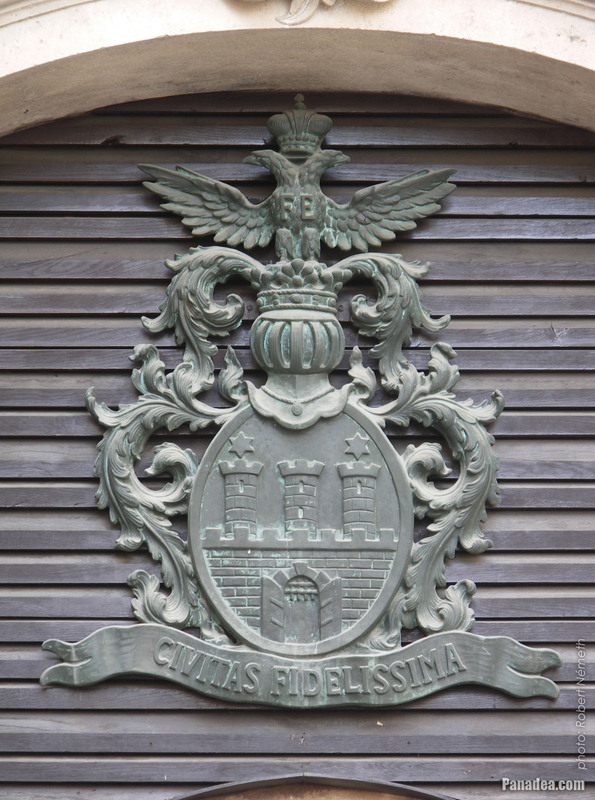 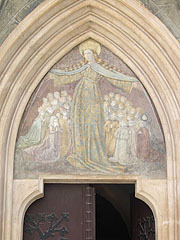 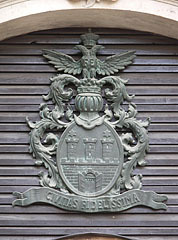 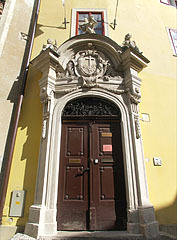 In 2012 this gate was altered and widened, and this crest was removed from it. 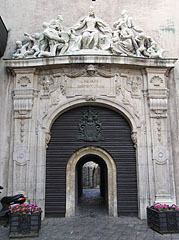 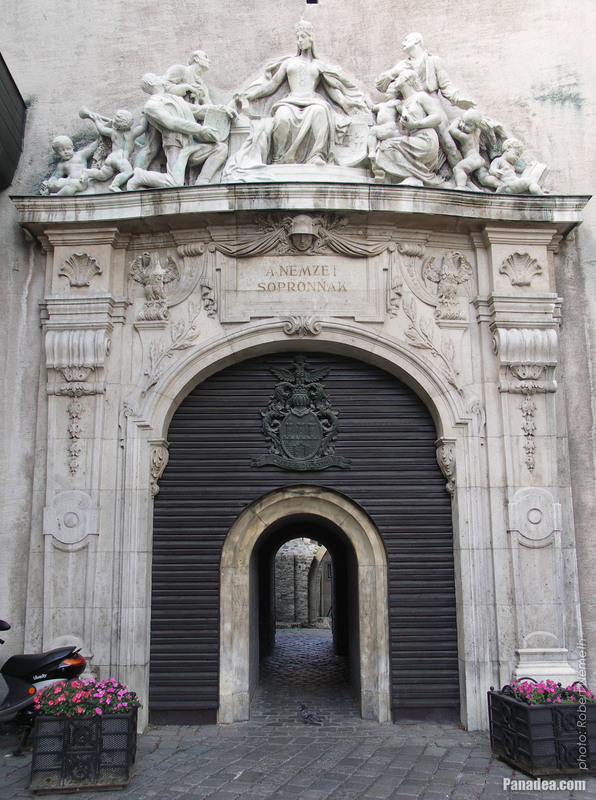 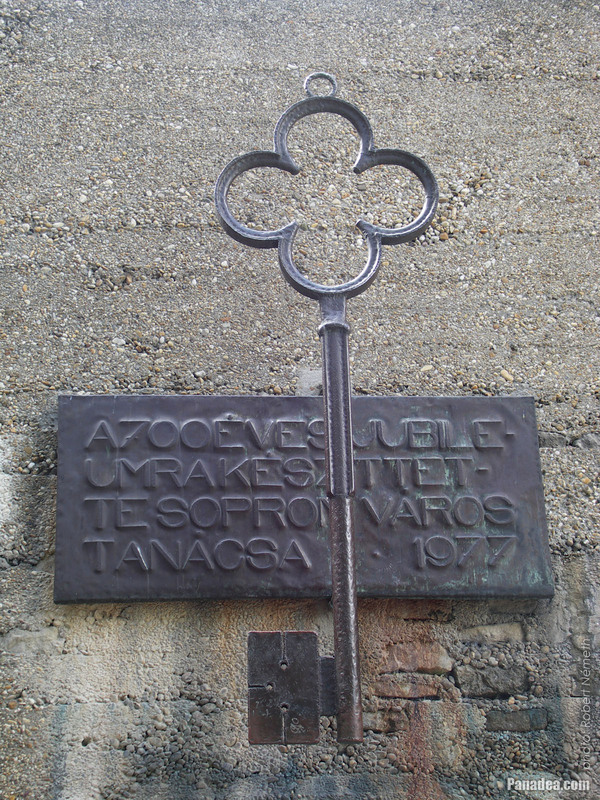 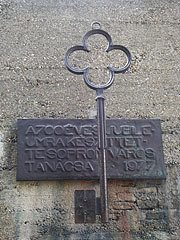 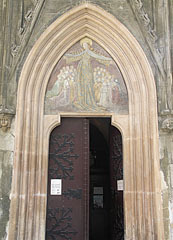 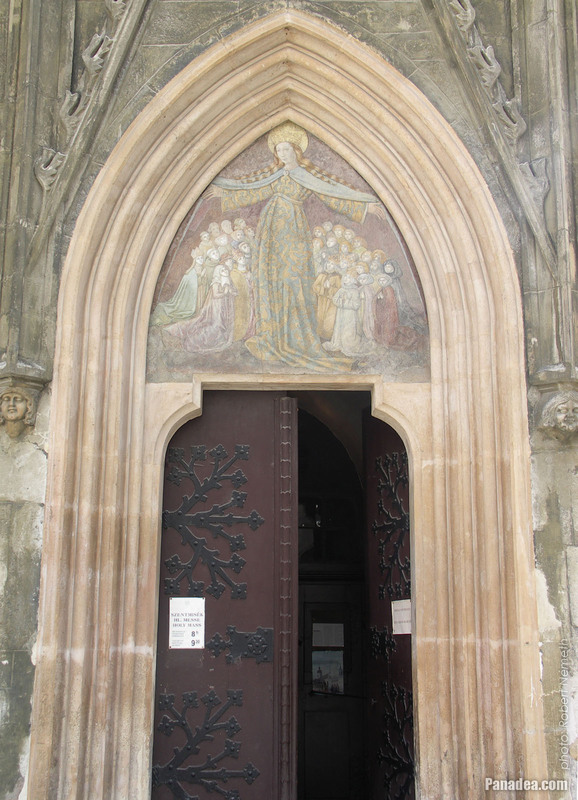 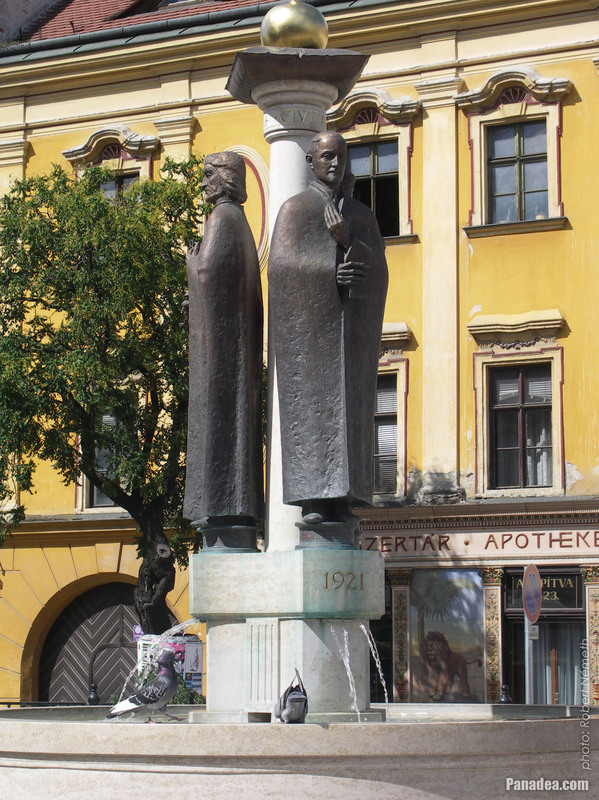 The gate was created by Zsigmond Kisfaludi Strobl sculptor and Rezső Hikisch architect in 1928. 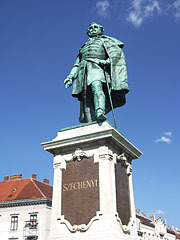 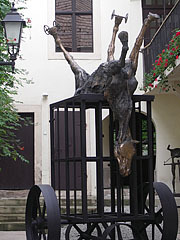 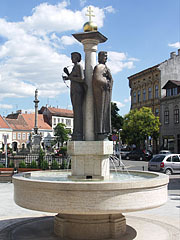 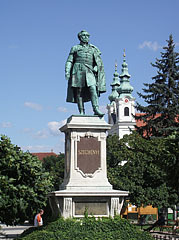 The sculpture was created by László Szlávics in 1977. 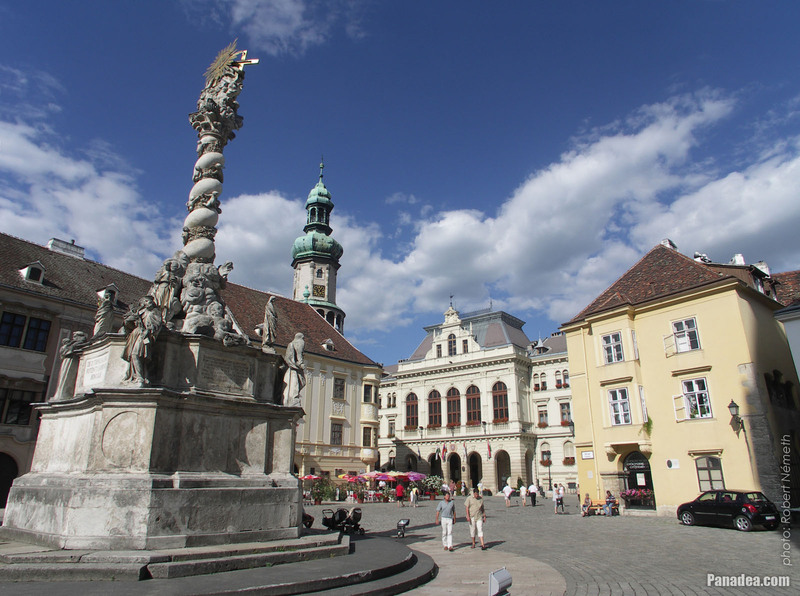 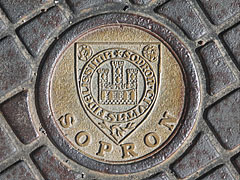 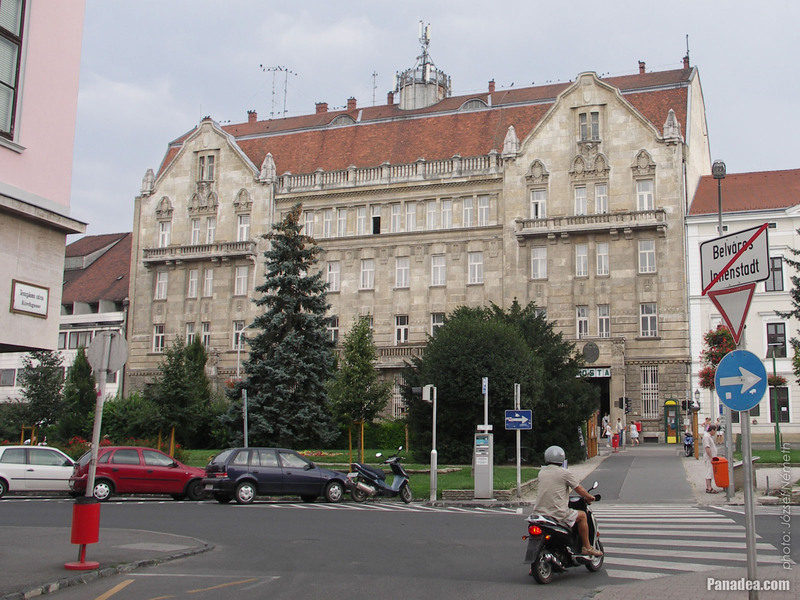 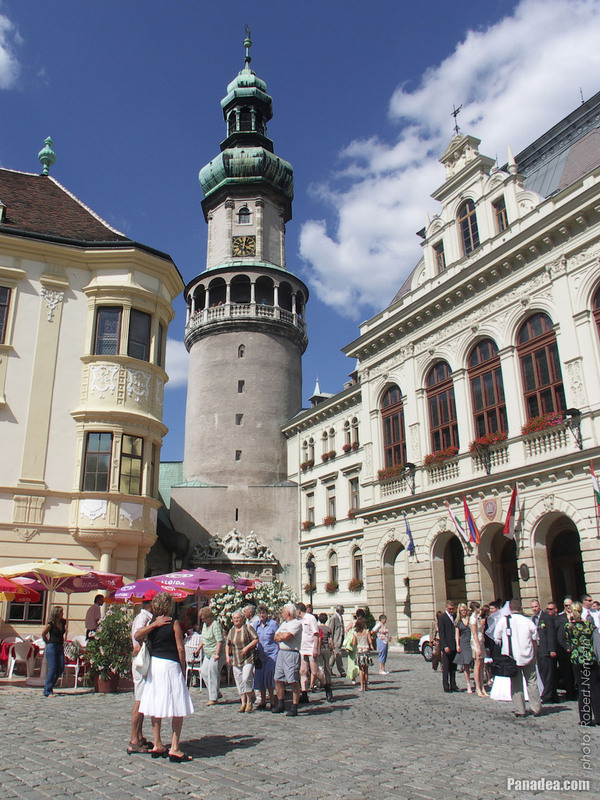 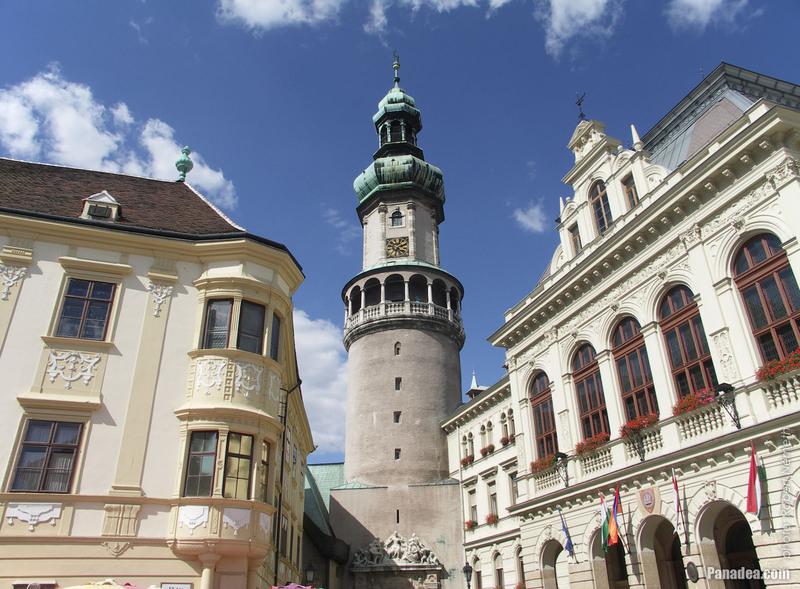 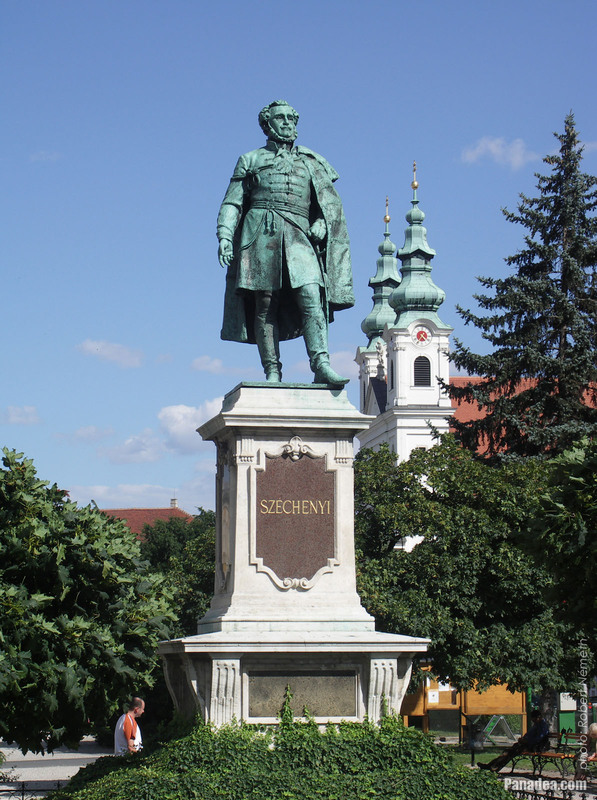 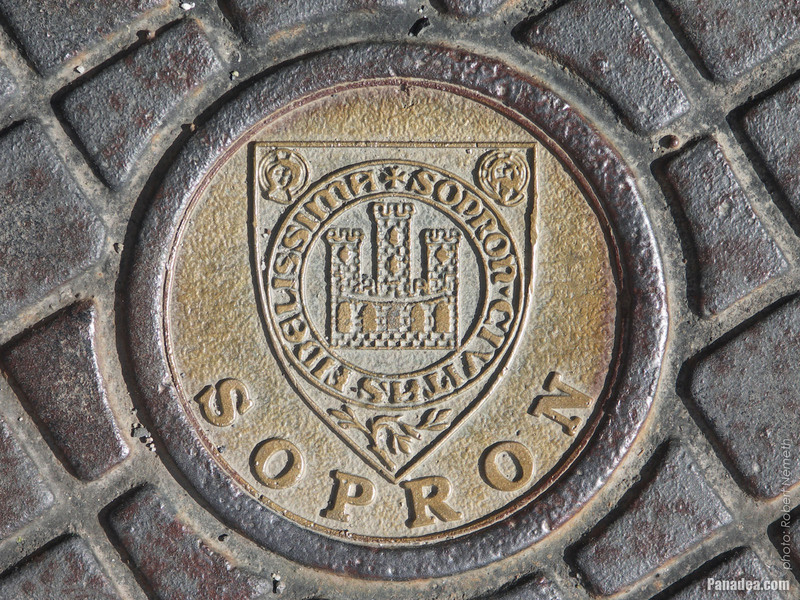 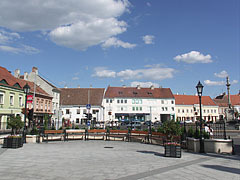 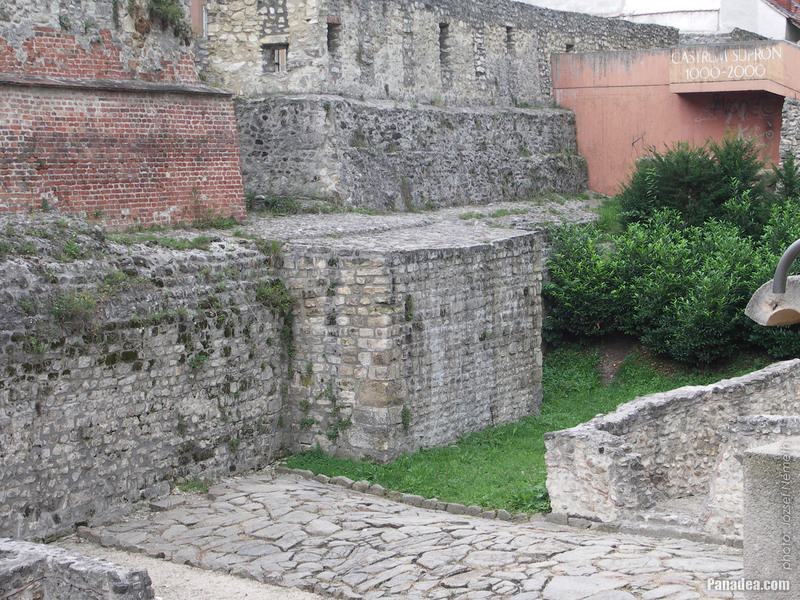 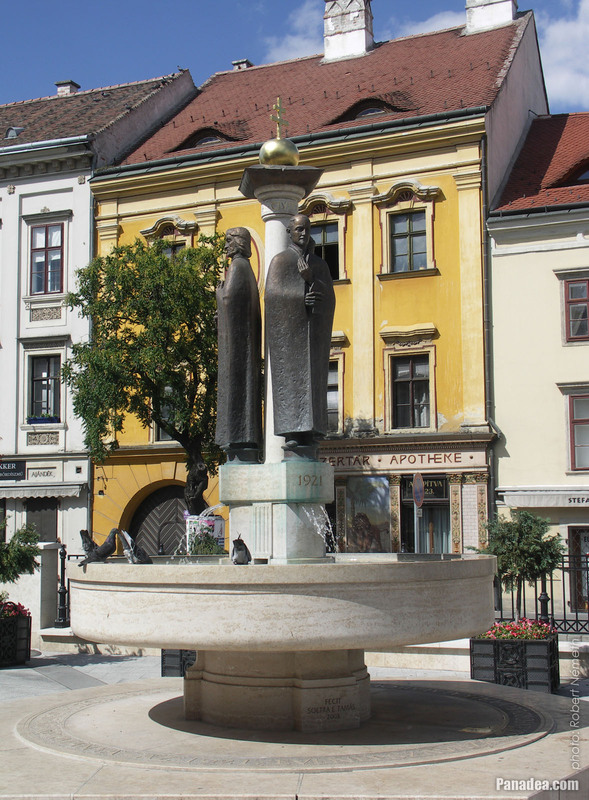 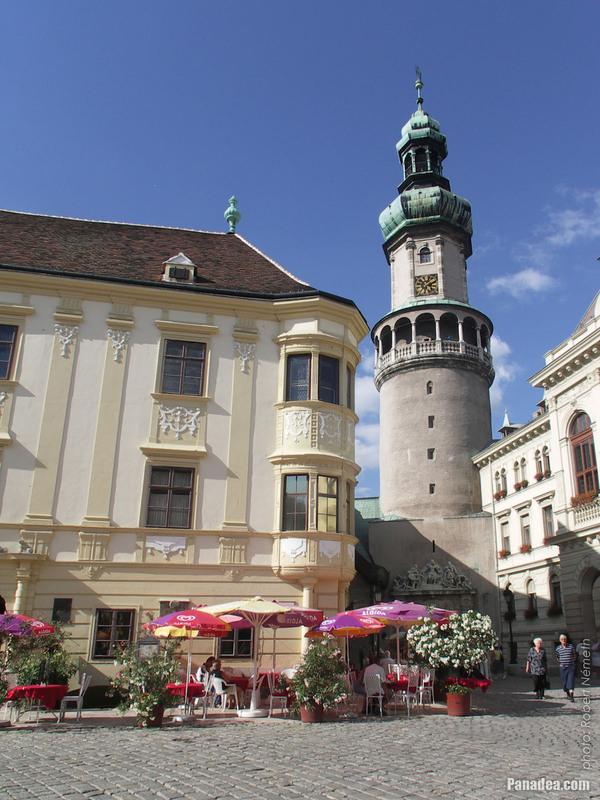 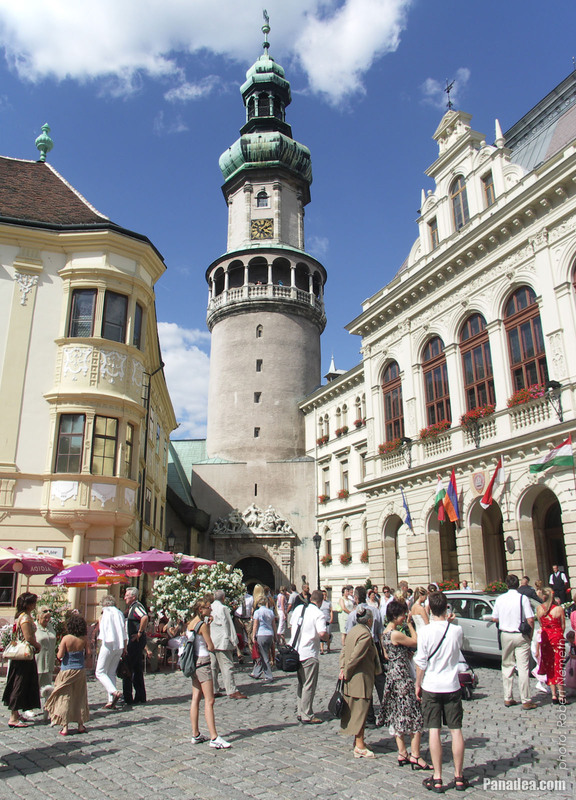 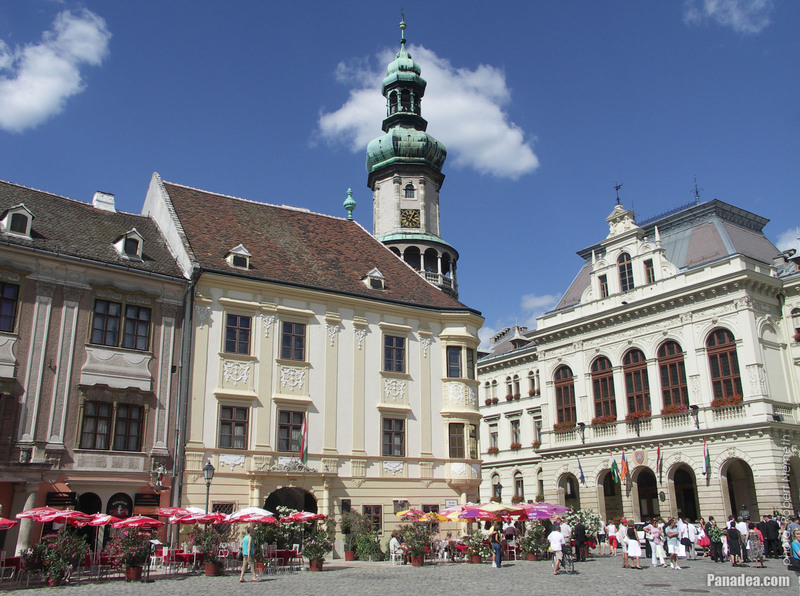 At that time it was decided that Sopron continued to be part of Hungary, instead of joining to Austria. 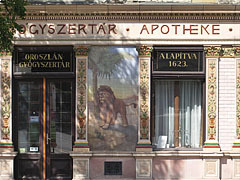 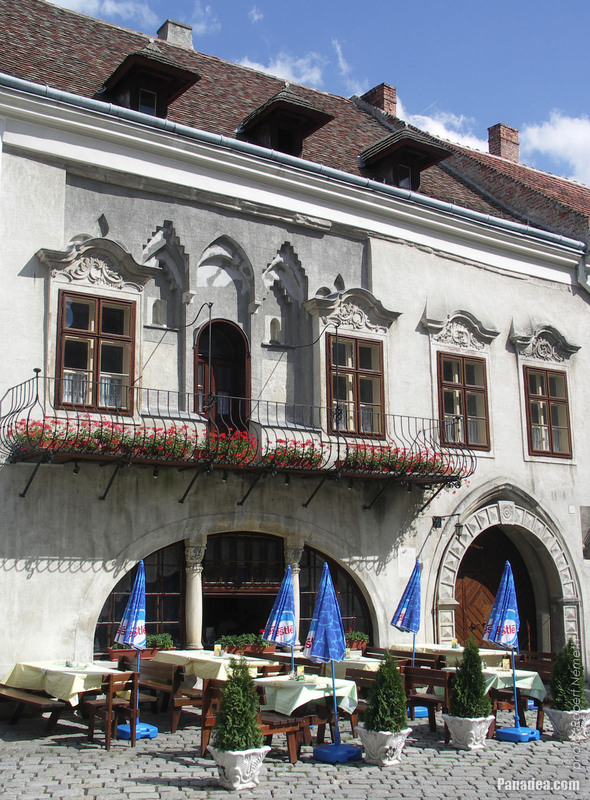 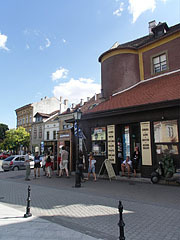 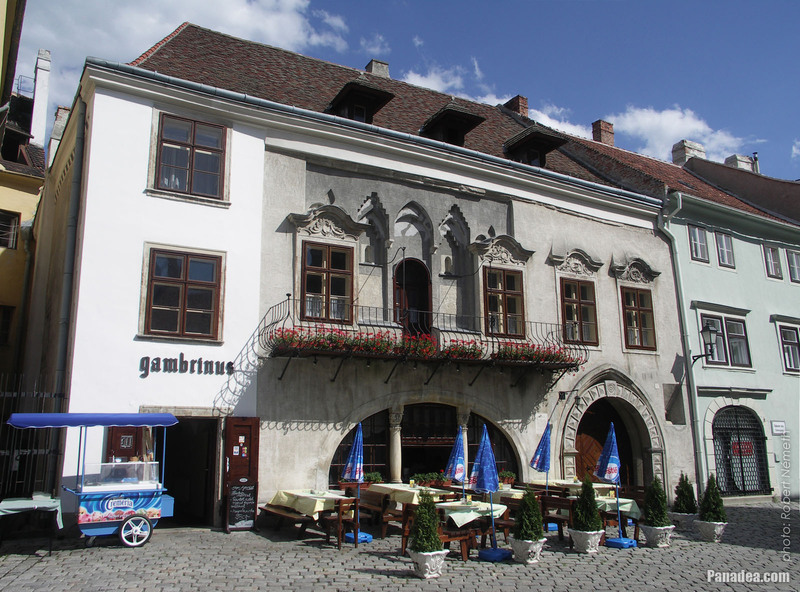 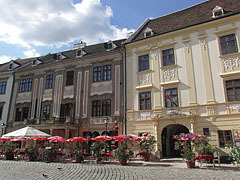 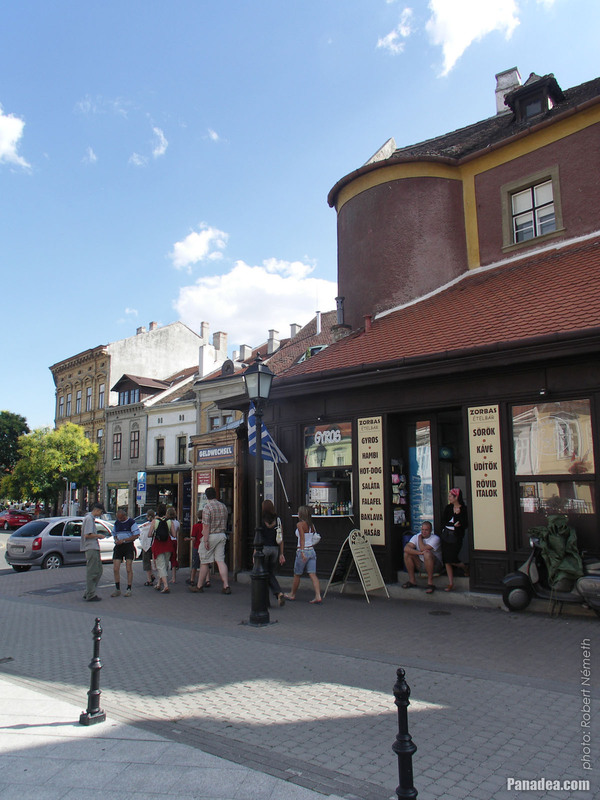 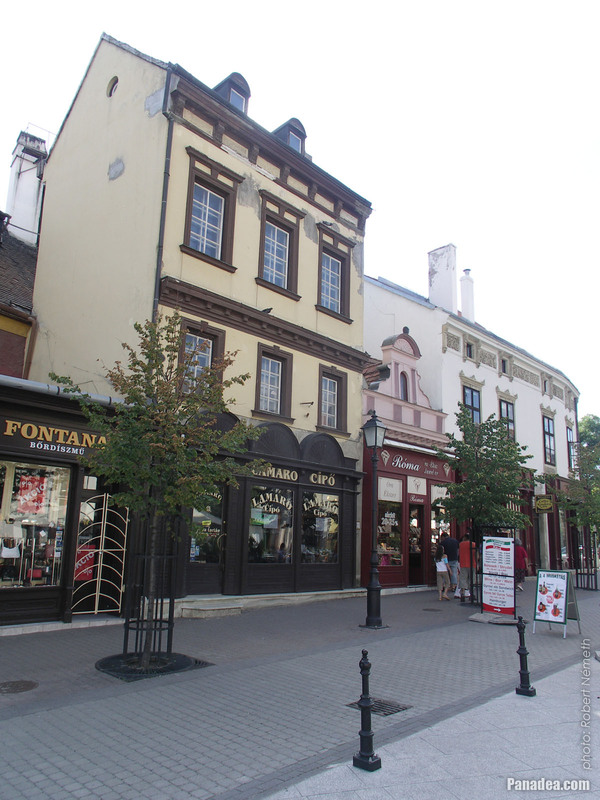 Earlier, between 1623 and 1724 the pharmacy was operated in a house at 33 Várkerület. 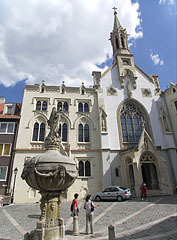 The "Fountain of Fidelity" or "Fountain of Loyalty"
The church was built between 1719-1725, its towers some times later. 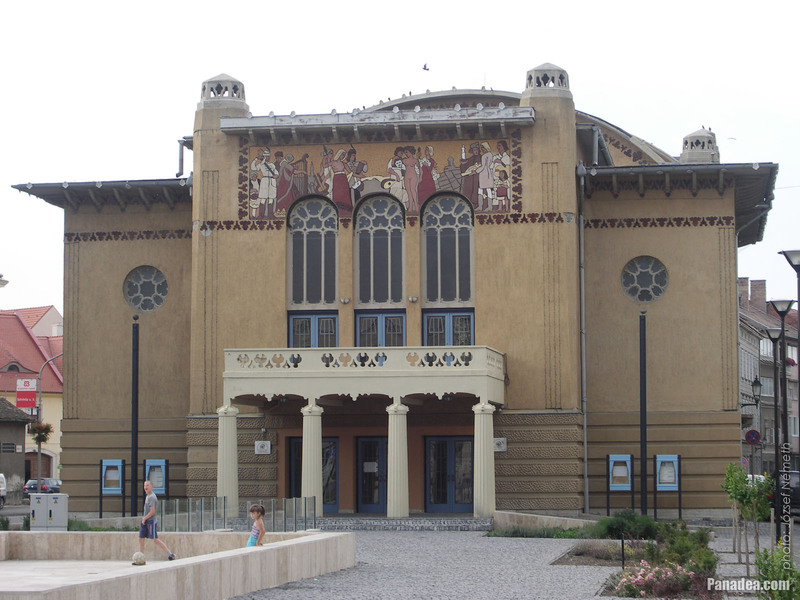 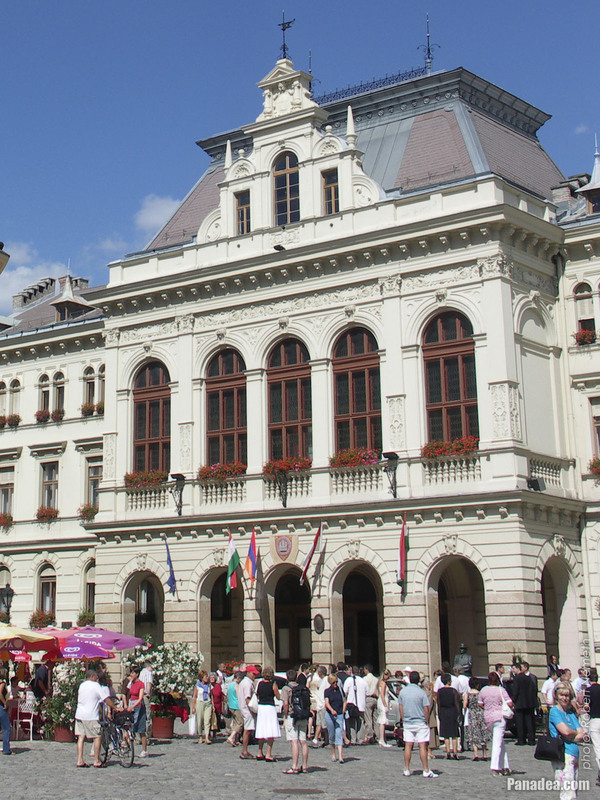 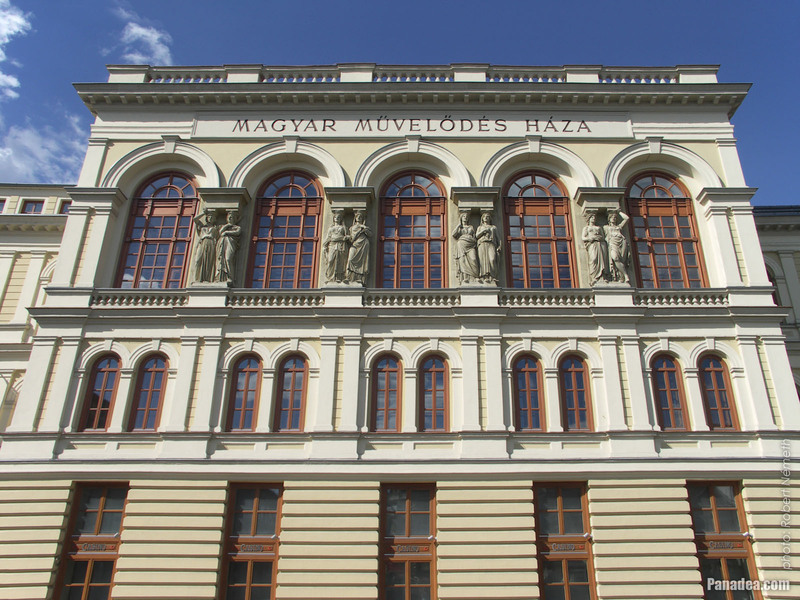 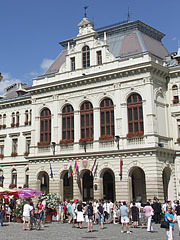 It was built in 1872, initially it was a casino, later a community center ("Magyar Művelődés Háza"). 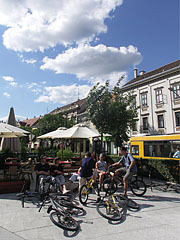 The park is situated on the site of the former Kétpék Lake (literally "Two Bakers' Lake"), which existed until 1828. 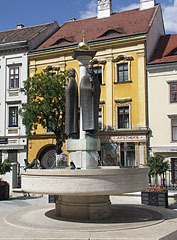 Created by Lajos György Mátrai in 1897, based on the statuette of Miklós Izsó sculptor. 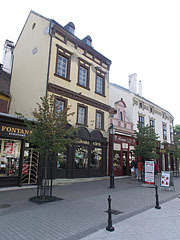 The General House in the present form was built in the early-18th century. 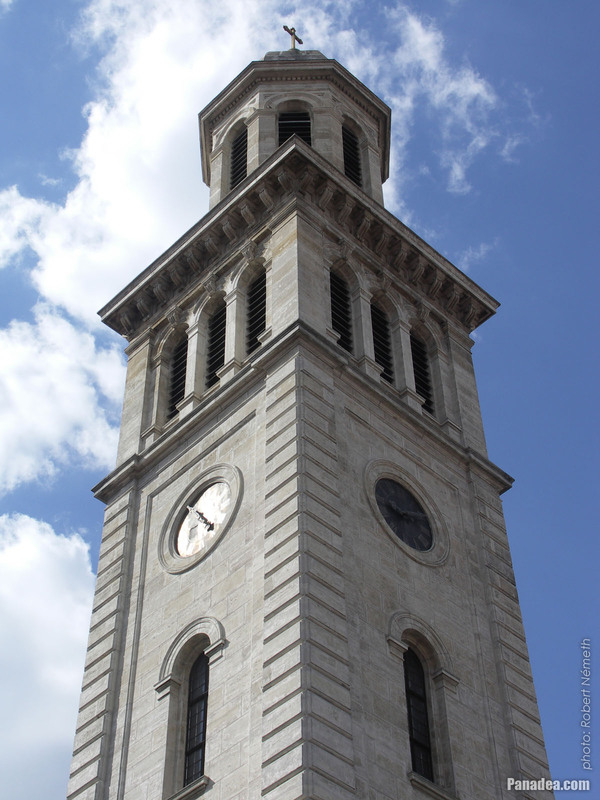 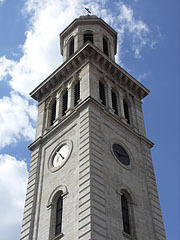 The church was built between 1380-1430, but the tower only in 1882. 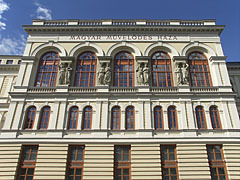 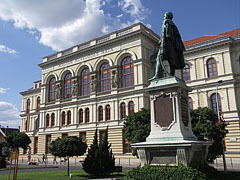 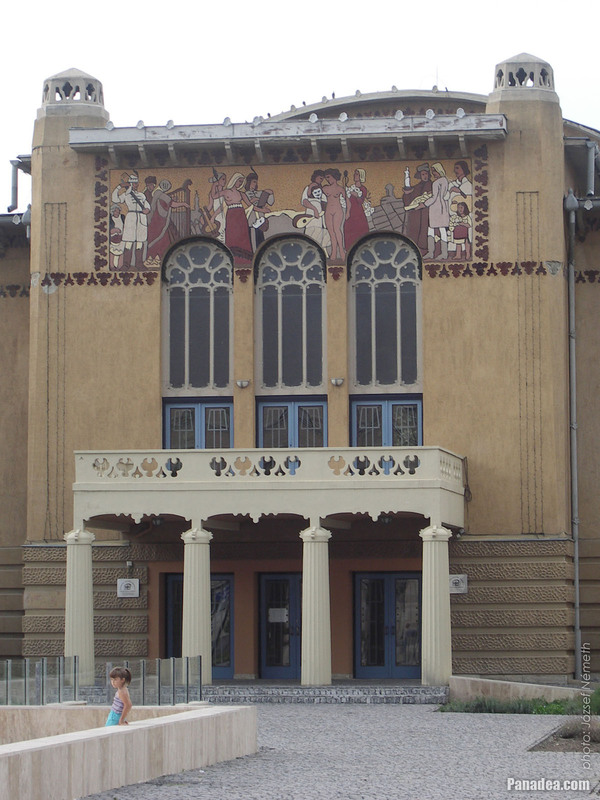 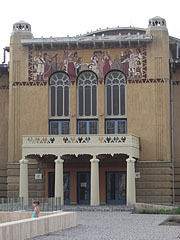 The sgraffito picture on the facade is called "The allegory of the arts", created by Attila Nagy in 1992. 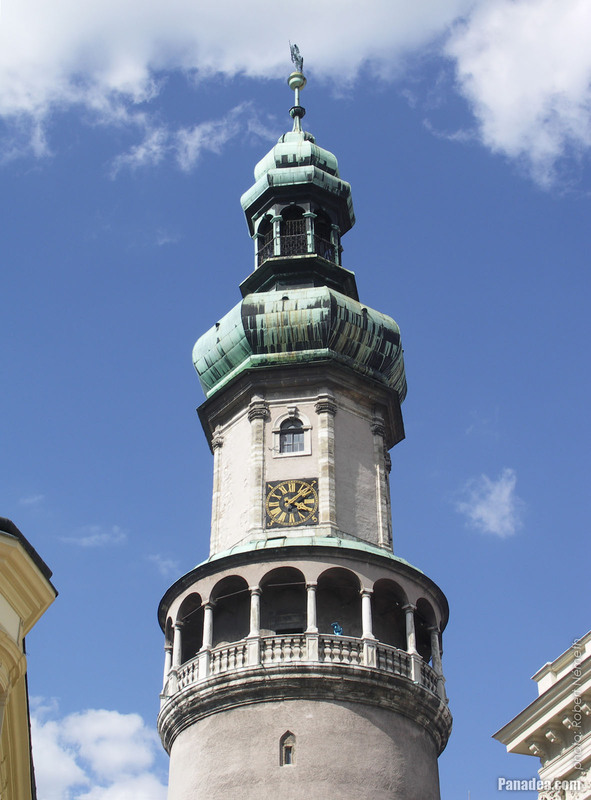 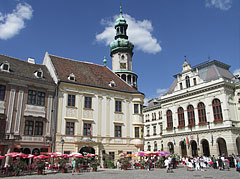 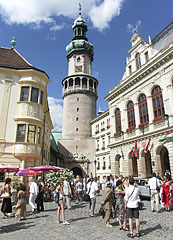 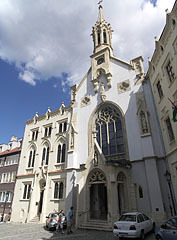 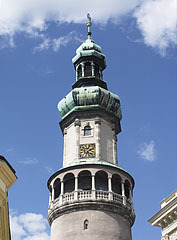 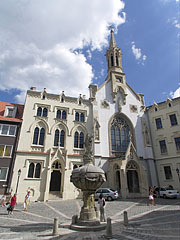 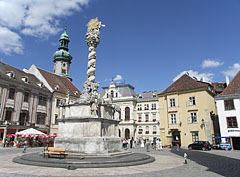 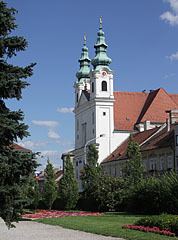 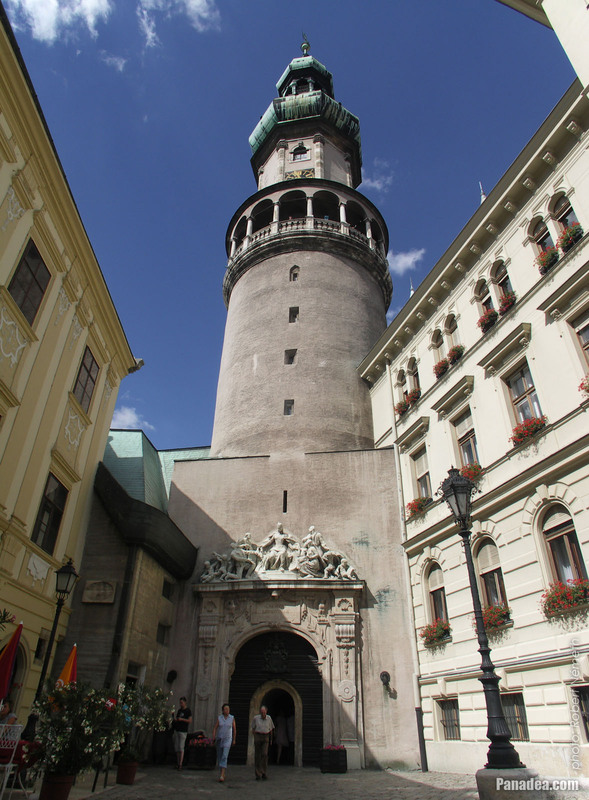 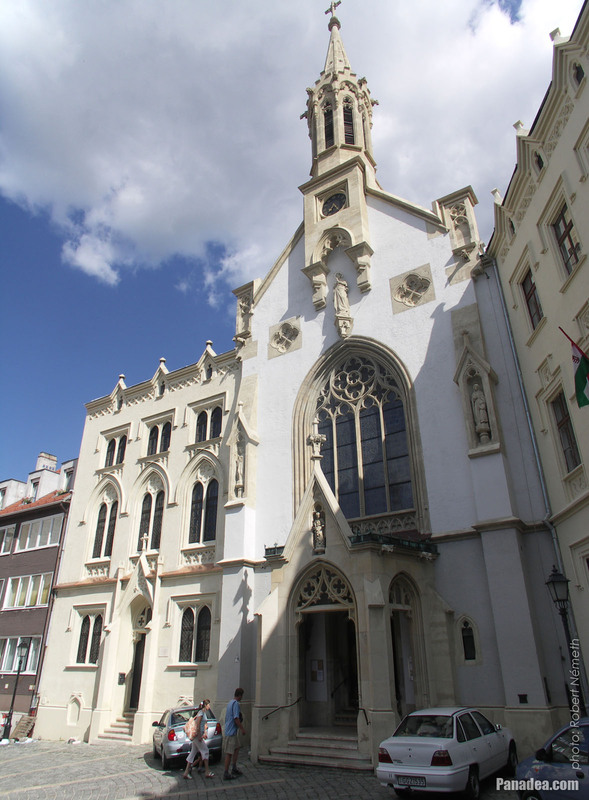 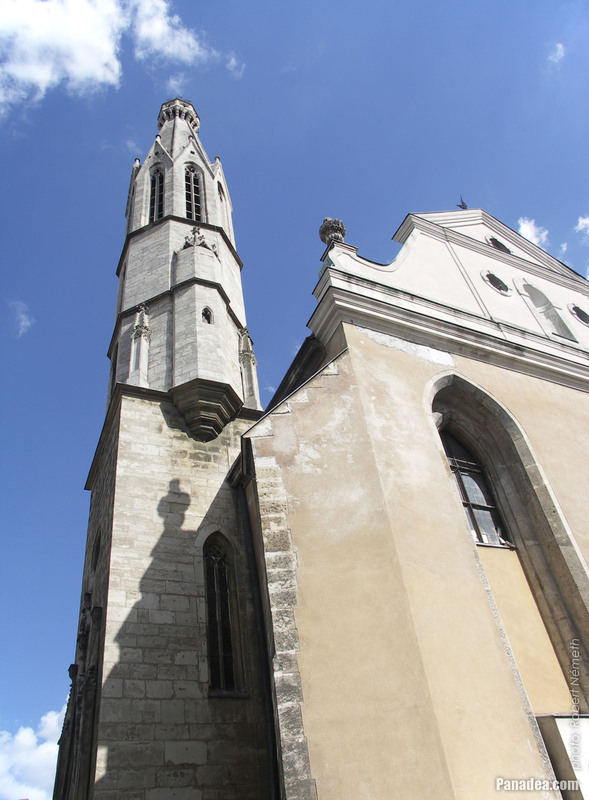 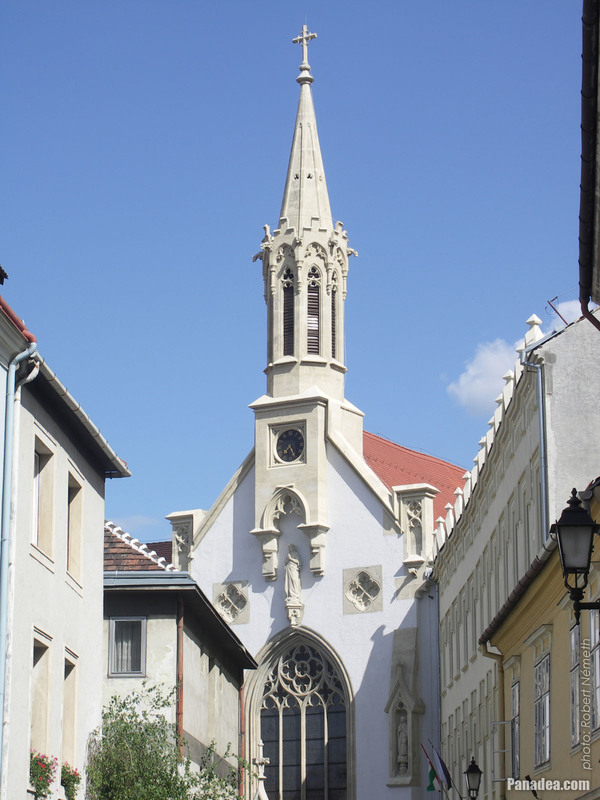 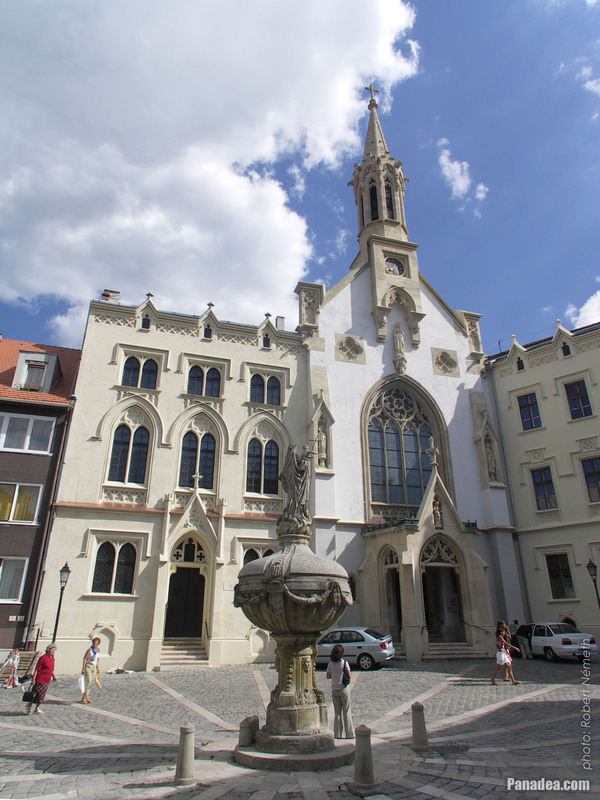 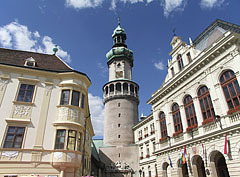 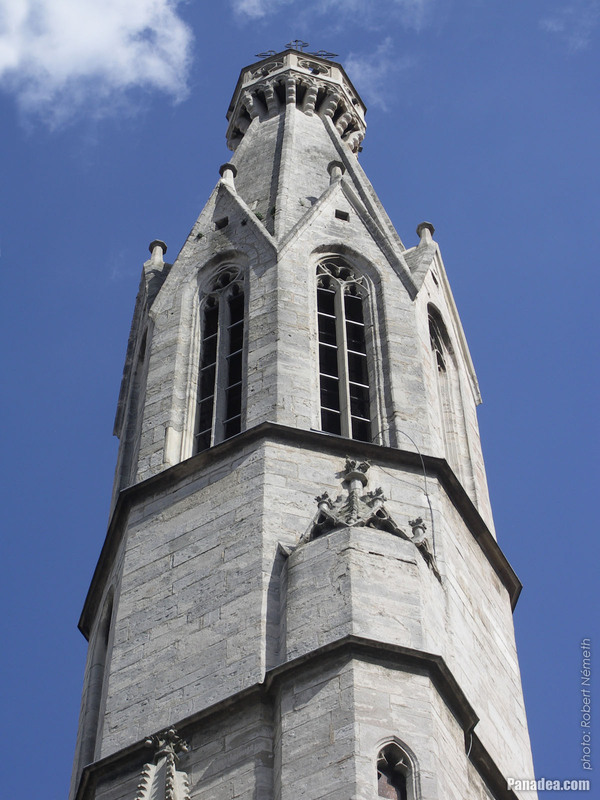 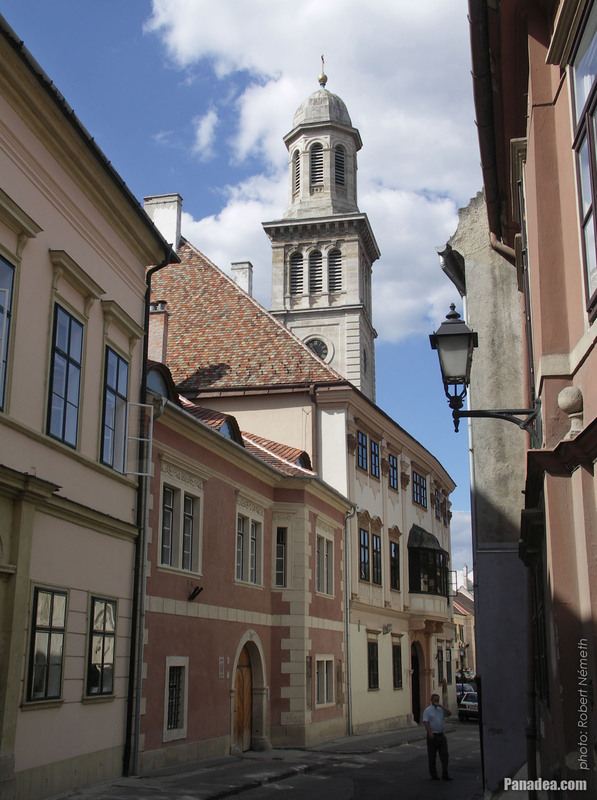 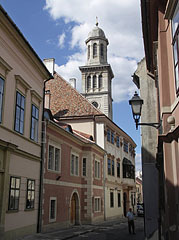 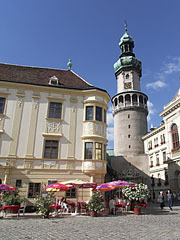 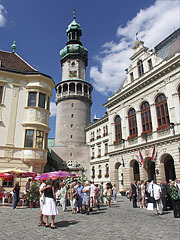 Originally the medieval Church of Our Lady ("Boldogasszony-templom") stood on the site where today there is a baroque Marian column or Immaculata (Immaculate Conception), close to the former city wall of Sopron. 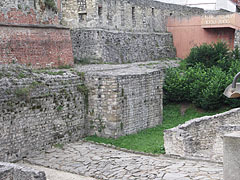 During the Ottoman conquest the building was demolished, because they were afraid that the enemy could easily shoot into the castle from its tower. 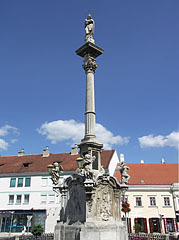 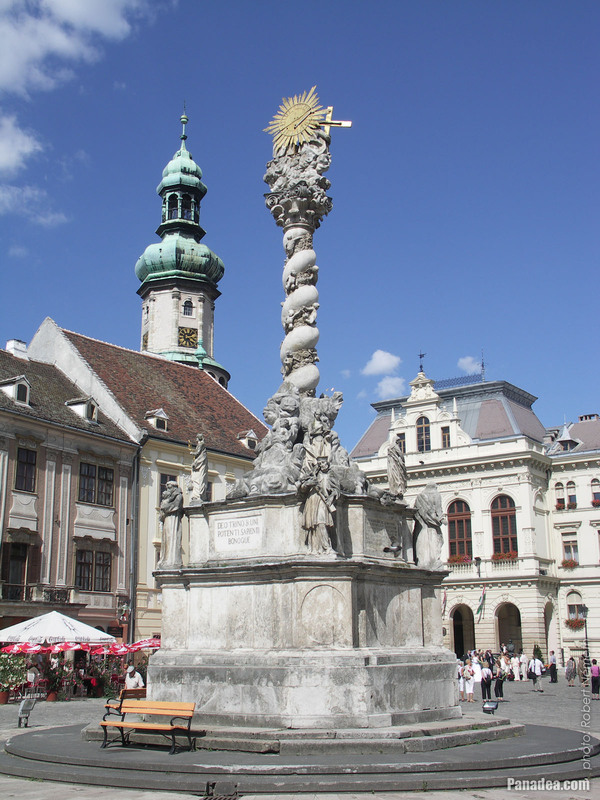 The Immaculata column was designed by Andreas Altomonte in 1745, created by Jakob Schletterer sculptor from Vienna, as well as Tóbiás Hauch and Lőrinc Eisenkölbl stonemasons from Sopron.